Home »Product Reviews»Product Reviews by Chris»High fives for the Funslinger; it’s got massive pop! High fives for the Funslinger; it’s got massive pop! Conditions/Terrain Tested: Park, Pipe, Rails, Powder, Groomers. 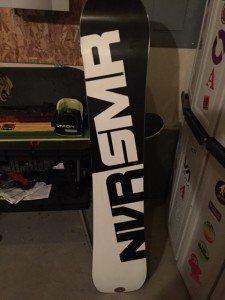 It was early in the 2014-2015 season at Loveland Ski Area when I first caught a glimpse of the new asymmetrical offering from Never Summer, and ever since that moment, I wanted to get my hands on one to see what the shred-scientists had cooked up in the Never Summer Labs. I’m very familiar with the Never Summer line. My go-to park board is a 154cm Never Summer Evo, and I have been riding a 156 Ripsaw for everything else, so the Funslinger was very intriguing to me. I’m a huge fan of the Ripsaw rocker camber profile and was looking for something with a bit softer flex in the park, and the Funslinger fit this need for me. I had never ridden an asym before, and conceptually I understand that the design is meant to balance out your turns, so I was looking forward to feeling what the deeper sidecut truly does to provide for a faster heelside turn. The matte topsheet of the Funslinger is pretty awesome; just looking at the graphic on this board when I was setting her up brought a smile to my face. It’s a killer look, in my opinion; a bit different than their standard graphic, and fits. It just looks fun! You can really see the beefed up camber underfoot with the extended camber sections toward the tip and tail and rocker between the binding (Ripsaw Profile) by looking down the edge of the board. I couldn’t wait to get this board out on the mountain. The Funslinger lived up to its name. It really does provide a playful, fun ride all over the mountain; the asymetrical design was noticeable (mainly due to me never riding one before), and only took about a run to get the feel for it. Riding this board regular or switch was easy, it feels extremely solid under your feet. It truly is a soft freestyle board: it initiates turns well, and you can really lay an edge in any condition. after doing some straight airs and 50-50s on a few rails (I did detune this board slightly before riding it), it was a good feeling and the pop was insane! I could lock into boardslides, and it provided a different feeling from locking in with the Evo, due to the Funslinger’s boost flex core and Ripsaw profile which makes this board stable, easy to butter and press while becoming slightly stiffer underfoot to generate control and amazing pop! I was able to spin frontside and backside on Copper’s middle jumpline with ease after a few runs; I even took the 153 off the 1st jump in the big line (almost 50ft), and felt great putting down the landing gear. I was lucky enough to get a powder day in on my next day out riding, about 8 inches of fresh, and I was really looking forward to seeing how the Funslinger performed. Being classified as a park board I didn’t have huge expectations, but I’ll tell you this board felt really good. Super floaty for a short board and the Funslinger easily slashes through everything from untracked pow to chop, all you have to do is just put a bit of pressure on the back foot and the nose floats right up. For deep pow days, I would probably prefer a little more length, but for a park board this was truly a lot of fun and it’s an amazingly playful board. I really like this board. 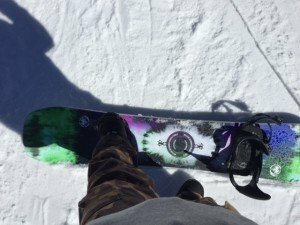 It’s different, and if you are looking for a park board to add to your arsenal that can be used everywhere on your local mountain, then this is a great choice. If you aren’t convinced, I highly recommend you try this board out at a Never Summer demo day near you! Feels great outside of the park on groomers or on pow days. Slings fun all over the mountain…seriously you’ll have a big ol’ grin on your face! Still want more? Check out all the technical information on the Funslinger at the Never Summer website. Here’s a great video from L’il Gags on the slinger. I’m a rider out on the ice coast and I see that you rode the funslinger with TM-Twos and Union contacts. 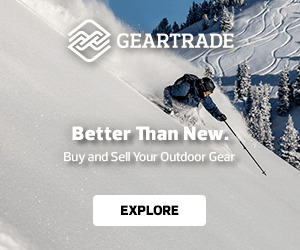 I just ordered a funslinger 154X and I have 2015 TM-Twos in a size 11. I have Burton Gensis Binding now that I have not used yet and was wondering why you went with the Contacts. I have been considering them for a while and now that I found someone who has ridden that exact set up I was wondering what you thought of the contacts for that board. Worth having my Genesis bindings and Contacts? or would they be too similar? Great question! 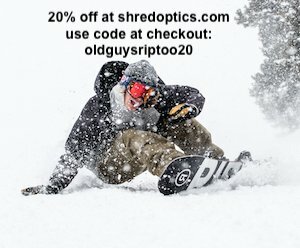 I hope you enjoy the Slinger as much as I do, it’s a fun board all over the mountain. I chose the contact and contact pro bindings because my foot is flat and somewhat wide, the profile of the baseplate on the binding fits well for my foot and boot profile with the TM-Two’s. I had issues with other bindings in the past such as: parts breaking, losing straps, constant tightening of components. I have not had any issues with the contact or contact pro bindings. I’m sure the Burton Genesis Binding is solid, I’ve just had better results with Union. I’m sure either (or both) would work very well with the Funslinger. The contacts are definitely more park oriented than the Genesis, which is more of an all mountain binding. This is what I figured, but it is nice to get a confirmation from someone who has actually ridden the gear. If I buy them it would be for my more park focused days. Great! You’re very welcome Nick! I was wondering which bindings you preferred with the Funslinger – the Contact or Contact Pro? I have my Funslinger coming in the mail now and I’m trying to decide if I should choose the Contact vs. Contact Pro for my setup. I know the Contact is made for more jibbing/ freestyle and is a bit softer, but the Contact Pro’s minimal contact and versatility also sounds enticing. I think they are both great choices, however if I had to pick one over the other I would spend the extra money on the Contact Pro, the mini-disc works really well with the Flex and Rocker Camber Profile of the Funslinger, and the Vaporlite dampening really helps cushion your foot throughout the day. I hope you enjoy the Funslinger as much as I have, and we’d really like to hear from you on how the set up (which ever you choose) works for you. 🙂 you’re very welcome, Clint! Can’t wait to hear how the set up is for you! I’m very intrigued by this board, and your review only made me want it even more! I’m looking for a playful board that I can take into the park, hit natural mellow features on trails, and take on some groomers. So I think I’d enjoy messing around with the flex in the park and on the ground, but for taking some runs between the park and whatnot, some edge hold would be nice. I know this is a more park-specific board, but I was just wondering what size you’d suggest for what I’m looking for. I’m 5’8″, 155lbs, size 9 boot. Does the 151 sound just about right? Or would the 153 be better to help with some of that edge hold and stability? Thanks!! Thanks, that’s exactly what I was hoping this review would do 🙂 Right now in Colorado the riding you’re describing is what I’ve been using my 153 Funslinger on – groomers, jibbing around, ground tricks and small/medium park jumps (25ft – 30ft) at Breckenridge and Keystone. 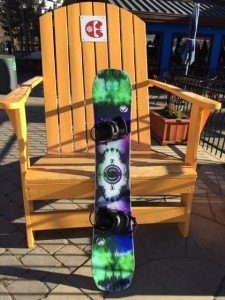 I’m about 20lbs heavier than you currently, and the 153 is a good size for park, however I think I could have gone a bit bigger so I think for the riding you’re looking for a 153 would be good, it would give you the flexibility to play around in the park and let you rail into some turns on groomers. I think the 151 is at the lower end of the spectrum and would be great for just a park specific board, but for a good balance of park and resort riding, I really feel a 153 would suit you well. If you do have a chance, I would recommend looking for a Never Summer Demo Day and trying out the 151 and 153. I heard all these amazing reviews online about the funslinger so I have just ordered one today lol. I am intermediate level rider just started to learn some ground tricks and experience the park. My question is what binding I should choose for these board. My friend recommended the NOW Pilot or Select. I have no brand preference myself and would love to hear your insight on this. Thank you! 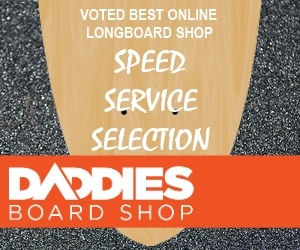 Right on and congratulations, you’ve got an awesome board for intermediate/advanced park riding! Your binding question is a tough one, I really feel that binding and boot setups are personal and can vary for each rider. What I can say is that I’ve really enjoyed my Funslinger with Union Contact, Contact Pro, or recently the Ultra bindings. I have ridden with someone who has Now bindings on a 156 Funslinger and he loves them, the only issue he has had is with a ratchet/buckle breaking (it was plastic) this may have been corrected in the PILOT, but I can only speak to what I’ve heard from him. Just looking at the Now binding page for both the Select or Pilot, I don’t think you can go wrong, if you’re looking for a more freestyle oriented feel go with the Select, if you would like a more supportive, all mountain, with all the bells and whistles binding go with the pilot. I hope that helps, if I can clarify anything else please let me know. Thanks Chris for the quick reply. Usually I’d rather a responsive binding, would you say the contact pro is responsive enough? or its more like a softer all park board? Thanks again Chris! I’ve been riding an Evo 157 for the last 4 seasons and my one complaint with it is you can’t really lay into a hard carve on it. My brother has a Proto HD 160 that I’ve taken a few laps on and it will happily hold a hard carve unlike my Evo. I was pretty set on buying the Proto HD this year but now you have me interested in the Funslinger, have you had any issues with the Funslinger not being aggressive enough? Again I love the playfulness of my Evo but when I want to charge on hardpack, it comes up short. Great question, I have not had any issues with the Funslinger not being aggressive enough, in fact today I was able to laydown several eurocarves, and pop right back up to my normal riding position. Now, if you enjoyed the Proto, and are interested in the Funslinger, you may want to check out this new late season release from Never Summer: TYPE TWO (I will be testing this board out very soon) it might be just what the Dr. ordered! 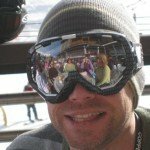 I am looking for a soft park & freestyle board. I like all reviews on this board, but your review made me want it even more. I was just wondering what size you’d suggest for what I’m looking for. I’m 6’2″ and 180 lbs, size 11 boots. 50% Park (medium kickers 20-30ft ) and ground tricks, 30% all mountain, 20% powder (mostly trees) My setup is 23.5 inch width. My park board is 153cm and I have some issues when doing nollies especially when doing tamedog. The length between my front foot and tip of the board seems too short to spring me off. Should I get 154X or 157X? Thanks! I’m glad you liked the review. For the type of riding you’ve described I would recommend the 157X, based on your comment on getting pop off the nose for tamedogs and medium sized park jumps, I think this would work out well. You’ll just have a bit more nose and tail on rails, the 154X I would only recommend if you were truly looking for the Funslinger as a jib stick. Hope that helps, and please let me know if you decide to go with this board! Thanks Chris! I really appreciate your advice. I’ve seen that Never Summer has introduced a new twin freestyle deck, Warlock!. Warlock seems like Funslinger in terms of softness and dampness in the 2016-2017 NS catalog. Their carbon layers are similar but Warlock also has carbon layers at nose and tail. Warlock has original rocker camber profile but Funslinger has ripsaw rocker camber profile. I think Warlock is a rigid tip and tail version of Funslinger. I am indifferent between getting Funslinger 157X and getting Warlock 156X for next season. There is not any proper review of Warlock for now. But Never Summer has test days on March. I’ll wait and read upcoming reviews. How do you think about Warlock? You are very welcome! I haven’t tried the Warlock yet (I am planning on riding one in April for several days)I do like the way it is described, but until I actually ride it I wouldn’t want to speculate on the similarites/differences between the Warlock and the Funslinger :). That’s great you’ll be able to get to a demo day! May I also recommend you try the Funslinger, Warlock, and also try out the Type Two. We will have a review of the Type Two out by the end of March. 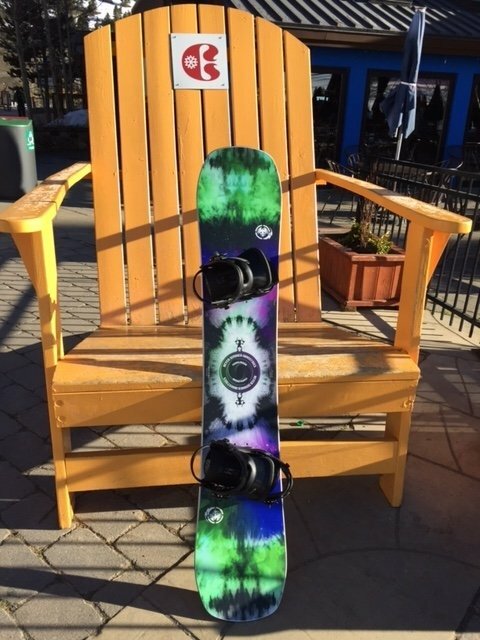 Hey quick question for you, I am getting ready to order this board for next season and I have a question about size. 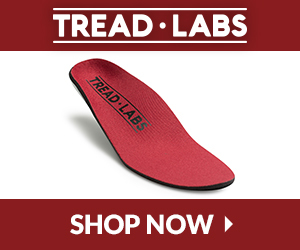 I wear a 10 1/2 boot and I currently ride a 158W, Im looking at getting the 153, but I am worried about toe and heel drag, should I go with the 154W instead? or will I be fine on the 153? Hi Scott, I would recommend the 154X the waist on the 153 would be to narrow for your boot size. Im in australia and we get the 2017 gear early.im torn between the funslinger or the proto type 2,did you manage to get your hands on the type 2?I love riding my park but from the reviews ive read across the net people think the funslinger is a little on the soft side for the larger jumps.How was it off the 50 footer?thats probably about as big as id go anyway. We’ve been riding the Type Two for a few months now, and it has the same benefits of the asym and ripsaw profile as the Funslinger, and I’m really liking the mid flex on the Type Two. On larger jumps it’s really solid on landings. While I love the funslinger too, I do think if you’re stepping to some larger jumps the Type Two is the way to go. The Type Two also feels good locking into rails, so I would recommend this for the type of riding you’re describing. If you go that direction and get the Type Two, please hit us back up and let us know how it works for you! We should have a review of the Type Two up very soon. !im 5’9 and 175 and i was thinking of getting the 152.what are your thoughts on that?Can you still butter the type two around or do you really have to commit to it?So its practically the funslinger just a little stiffer? Indeed you can still butter, even with the mid flex, the tip and tail are a bit different than the funslinger but otherwise very similar feel. I’m about the same size and weight as you are Matt, and I’m riding the 154 Type Two. It’s a tough decision, but I’d go with the Type Two if I had to choose JUST one. For the riding your describing, I’m still leaning toward the Type Two for larger jumps that you’re wanting to hi. You can rip the park on both boards (Funslinger and Type Two). So unless you are looking for a much softer ride, like the funslinger, go for the Type Two. Hi Chris, nice review of the funslinger. It seems like a very playful complete board. I am riding a ride machete 2013 161W, and it its really too hard and i feel really not well on thos board, cause its also too heavy and the spins in the air are too hard to make. Dont know if its the length of the board or the heavyness. For this season I decided to buy a new one with better option for my riding style. Now i found the funslinger, and I watched i lot of reviews, and i like the softness nd the rocker between the bindings, which I think has an effect on the flex. But I really dont know which length i should take, cause i think if i will take the longer one, the board will have a softer flex. I am 6’25” tall and my weight is 180..
Unfortunatly i have big feets like 12,5 or 13. I thought the size 160W or 157W. The 160W would better fit for my big foots, but dont know if its too long, and loses the soft flex, and the spin, and its also heavier than thw 157W. And the 157W could be too short? And loses maybe stability at the landings, and rails and so on… And carving could be more difficult? What do you think? What is your opinion? Thank you, It really is a fun board! If you will be using this board in the park and all mountain I would recommend the 157W, it will ride like a slighlty longer board, but you’ll still be able to maneuver it the way you want to on jumps, rails, and carving should be just fine with the 157W. Trying a demo before buying is always best, but my opinion is you will enjoy the 157W. I am looking to buy a NS board that is mostly park oriented, but also can keep me afloat in powder and I was wondering which one would be better for me the Type Two 157W or the Proto HD 158W. I ride 50% park, 40% groomers and 10% powder. I am 6’2″ 220lbs (naked) ( more like 240lbs with gear). I wear size 11.5 – 12 boots. I am currently riding GNU Rider’s Choice 164W. Effective edge length is 122.5cm. And I sink with it in deep powder, no matter how heavily I lean on my back foot. My main concern with the Tye Two in respect to float in powder is that it has a shorter effective edge length than the Proto HD 158W. What are your thoughts? Which one would you recommend in my case?. Great question, I want to make sure I’m reading this correctly as the Type Two for 2017 comes in a 158W, are you sure you saw it in a 157W? 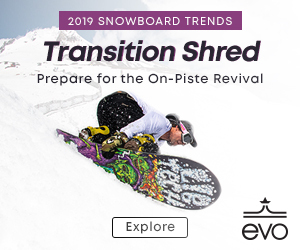 With the style of riding you’re looking for, and only 10% powder, my recommendation is to go with the Type Two, the asymmetrical sidecut and Ripsaw Profile will enhance your riding all over the mountain and in the park, and this board rips in powder. Yes it is coming in 158W in 2016-2017 season. Great, yes I really think you’ll be happy with the Type Two 158W! I made a mistake in my first reply when I stated that it comes in 157W. My bad. But the 158W Type Two still has a shorter effective edge than the Proto HD 158W. Anyway I think I am going to follow your recommendation and will buy a Type Two 158W. Dave here. Just wanted to chime in on the Type Two. I am 6’0″ 195lbs, I normally ride a 160X with size 12 boots. I am on a 155X Type Two, trust me…you will love this board all over the mountain and in every condition. That’s a great question, there are some big differences between the Evo and Funslinger. Most notably the Funslinger is Asymmetrical and has their Rip Saw profile, digs trenches while turning and has a deeper heelside sidecut to equal out your turns. The Evo has their traditional rocker camber profile and is not asymmetrical. Both are fun in the park and the Funslinger performs well in pow too. The older Evo did great in pow as well, but I prefer the Funslinger these days. The Warlock is another board to look at, it’s wicked, and a lot like the Evo if you like the traditional rocker camber profile. I’d go with the contact pro bindings for sure! Both boards are a great choice, I’m leaning toward the Funslinger, but looks at the Warlock as well. Check out the Warlock review. I am currently torn between getting the type 2 and funslinger. I tend to ride all of the mountain, spending maybe 25% of my time in the park. I really like the sound of type 2, but since I am only about 6,9″ and weighing 60kg I was thinking it could be a little too stiff. But then I also really enjoy charging hills and worrying the funslinger could be two soft. I am looking at the 152cm in the type 2 and the 151cm in the funslinger. Sorry to not respond sooner! That is a great question, the funslinger is a great board, however if you are riding more all mountain, go with the Type Two. It’s stiffer than the funslinger, but not too stiff, so you’ll find it adapts well to the style of riding (all mountain or park) you’re charging through. You may have already made a decision at this point, again sorry for the late response.